Ian Filby became the Chairman of Sofology in October 2018 following eight years as Chief Executive Officer of DFS Plc. In August 2018 he was also appointment Non-Executive Chairman of Joules. He is currently a member of the British Retail Consortium Board and Chairman of the British Retail Consortium Policy Board and Trustee of Pennies charity. 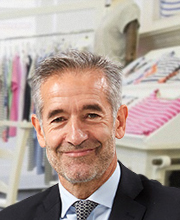 Ian has more than 35 years’ retail experience, primarily at Alliance Boots, where his most recent roles were Retail Brand Development Director and Trading Director. He has also held the roles of Interim Chief Executive Officer of Nectar and Non-Executive Chairman of Shoe Zone plc.